Slashing legal immigration has long been pushed by low-immigration advocacy groups in Washington like NumbersUSA and the ideas have been backed by now-Attorney General Jeff Sessions, who is now facing public criticism from Trump. 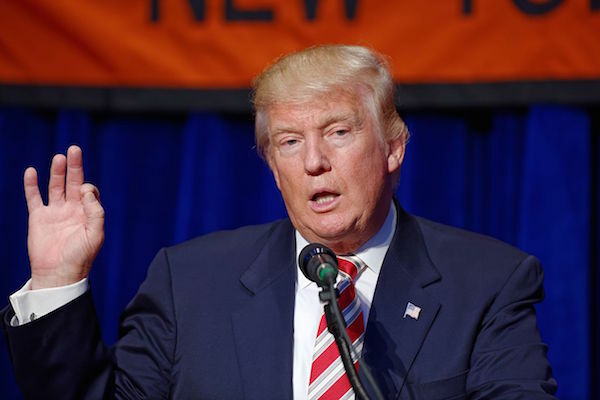 NumbersUSA President Roy Beck hailed the bill and said that it “will do more than any other action to fulfill President Trump’s promises as a candidate.” Trump vowed to crack down on illegal immigration during his campaign and signed two executive orders soon after taking office to increase border security and interior enforcement. Cotton and Perdue said their bill does not affect temporary visas for workers in certain tech sectors and seasonal jobs that are popular with many businesses. They stressed that the legislation was narrowly focused, an approach they hoped would be able to get bipartisan support. “We’re not trying to boil the ocean here and change everything about our immigration law,” Cotton said. But other Republican lawmakers said the bill might be going too far. Senator Lindsey Graham, from South Carolina, said his state is dependent on immigrant labor to sustain the two biggest sectors of the economy, agriculture and tourism. The bill aims to end the diversity visa lottery, which allows 50,000 people from underrepresented countries to obtain green cards. It also sets a 50,000 annual cap on refugees, instead of a level mandated by the president. Refugee organizations said permanently limiting number of refugees allowed in the country goes against an American value of offering safe haven to people fleeing violence and oppression. Trump suggested at an event in New York’s Long Island on Friday, where he spoke out against violence committed by Central American gang members, that immigrants today are different than in previous generations.